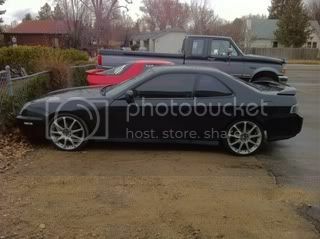 I have a 98 prelude with a greddy turbo kit. It has a "pretuned" box that adjusts fuel for 370cc injectors the kit included. my question is im setting off a code P1106 BARO Circuit Range/Performance Malfunction. Im an auto mechanic so ive done my own testing. since this is an aftermarket issue i thought id ask some smart guys on here lol :). after doing some research & testing i found that the baro sensor relies on the signal from the map sensor and if the signal "gap" between the map & baro is too big this code will pop up. So what im thinking is that the boost making the map signal higher than normal (above atmospheric pressure) causing the code p1106. My question is has anybody ran into this issue and if so how did u correct this? 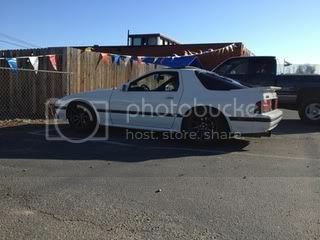 88 Rx7 TII - Garrett T67 ~ Haltech E6k ~ 720/1600 ~ AIS Meth Inj. Are you running more than 1bar of boost on a stock MAP sensor? If yea, then that's going to be your problem. You'll need to upgrade to a 2 or 3 Bar senor, but I'll let some of the boost guys confirm with that.